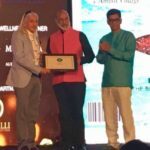 The ZEE Jaipur Literature Festival, which celebrated its 10th edition in January 2017, was felicitated with the “Best Festival” award at this year’s Outlook Traveller Awards, announced on 28th April 2017 at Roseate House, Aerocity, New Delhi. 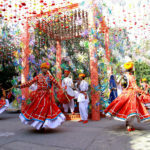 Within the last decade,the ZEE Jaipur Literature Festival has grown from a small gem of an idea to one of the largest and most loved literature festivals in the world and has often been described as the ‘greatest literary show on Earth’. The Outlook Traveller Awards 2017 were selected through the process of public voting and then through a jury selection. The jury comprised Ankur Bhatia, Swapna Liddle, SiddharthDhanvant Shanghvi, Priya Paul, Chhavi Chadha, Junior Mathews and the magazine’s editor Amit Dixit. The ZEE Jaipur Literature Festival is a flagship event of Teamwork Arts, which produces over 25 highly acclaimed performing arts, visual arts and literary festivals across more than 40 cities globally, and is produced by Sanjoy K. Roy. In 2014, ZEE JLF spread its wings beyond the borders of India with an annual event in May in London. In 2015, it headed across the pond to Boulder, Colorado where it hosts a similar event every September. In 2017, the Melbourne Writer’s Festival hosted a day-long event JLF@Melbourne that offered a glimpse of the Festival to audience’s Down Under. 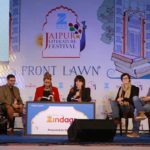 In the spring, the British Library will host the fourth edition of ZEE JLF’s London leg on May 20th and 21st 2017 to celebrate a significant cultural partnership. 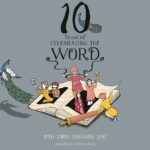 ZEEJLF@The British Library is one of the first major events in the UK as part of the UK-India Year of Culture in 2017, which will showcase the cultural diversity of India in the UK. Over 70 eminent authors and thinkers from across the globe will explore ‘The Idea of India’ in a programme set to showcase South Asia’s unique multilingual literary heritage and the Festival’s global appeal. The ZEE Jaipur Literature Festival is the world’s largest free event of its kind. The past decade has seen the Festival host over 1600 speakers and welcome over a million booklovers. Celebrating writers and thinkers from across the globe, past speakers have ranged from Nobel Laureates and Man Booker Prize winners to debut writers including Amish Tripathi, ChimamandaNgoziAdichie, Eleanor Catton, Ian McEwan, J.M. Coetzee, Margaret Atwood, Mohammed Hanif, OrhanPamuk, Paul Beatty, Salman Rushdie, Stephen Fry, Vikram Seth and Wole Soyinka along with renowned Indian language writers such as Girish Karnad, Gulzar, Javed Akhtar, M.T. Vasudevan Nair, Uday Prakash as well as the late Mahasweta Devi and U.R. Ananthamurthy. An annual event that goes beyond literature, ZEE JLF has also hosted Amartya Sen, Amitabh Bachchan, the late A.P.J. Abdul Kalam, His Holiness the 14th Dalai Lama, Oprah Winfrey and Thomas Piketty. Writers and Festival Directors NamitaGokhale and William Dalrymple invite speakers to take part in the five-day programme set against the backdrop of Rajasthan’s stunning cultural heritage and the Diggi Palace in the state capital Jaipur. Equity and democracy run through the Festival’s veins, placing some of the world’s greatest minds, humanitarians, historians, politicians, business leaders, sports people and entertainers from all walks of life together on stage. This free and egalitarian access to these renowned thinkers and writers is a powerful statement in a country where access to such individuals remains the privilege of a few. The ZEE Jaipur Literature Festival provides a potentially life-changing opportunity for audiences from Rajasthan, across India and the world to learn from and exchange ideas with contemporary literary stalwarts. 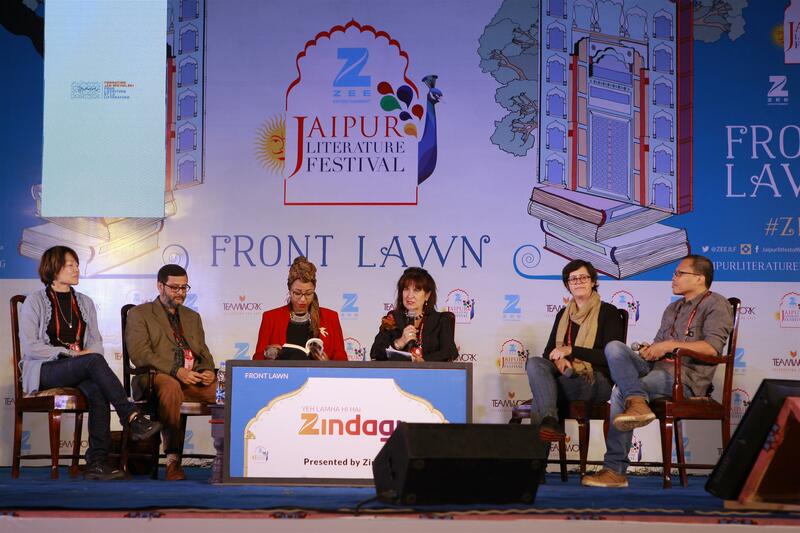 In 2014, ZEE JLF spread its wings beyond the borders of India with an annual event in May in London. In 2015, it headed across the pond to Boulder, Colorado where it hosts a similar event every September.